At school the video adapter that attach to the various projector-connected computers keep up and walking around. Unfortunately they don’t return after their walk-abouts. 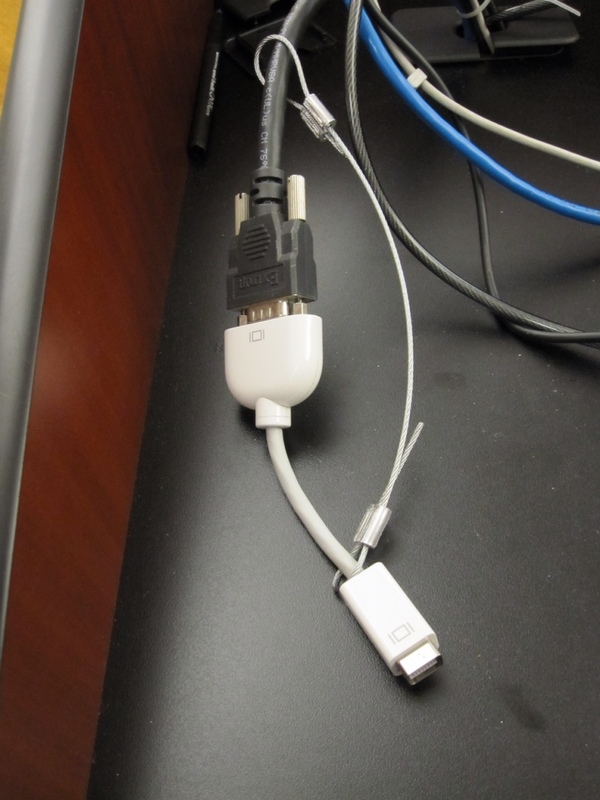 This causes much grief and wasted time, so I am embarking on a round of cable security. I am using wire clamps to connect these video adapters to the VGA cable. There will be several attached to some of the cables as we use different computers on those projectors. This is my prototype. At about $3 for the hardware, it is probably less expensive than any solution I could find in a computer store, and a pair of scissors will not foil this security measure!